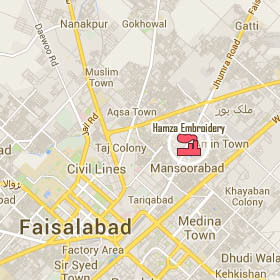 We stablished Hamza Embroidery in 1989 and Export firm in 1992. We are Manufacturing all types of Embroidery Laces in GPO Chemical, Cotton, Polyester, Silk and Net . Embroidery Fabric in Cotton, Silk, Polyester and Net . Embroidery Badges in many Colors and Designs And also Manufacturing Table Cloths .